An Air purifier basically works by drawing all the air in the machine, The machine is composed of various parts that then clean the air as it moves in them. 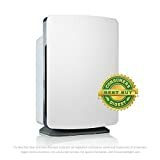 These purifiers are essential with people who have allergies or have asthma or its symptoms, these purifiers clean the air and provide the user and healthier air to breathe, we will go through what you need to check before buying an air purifier and even go through most of the types of air purifiers so you won’t face any issues when purchasing a new one. An essential part of the air purifier is its “filter” as it is the reasons why we get to breathe healthy air, it’s important to look for a purifier with filter change alert, as over time it might collect a lot of waste and not be able to do so anymore. 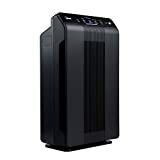 The next would be its air-exchange rate go for the higher values, the air purifier with higher air exchange rate will purify your room at faster speed. For an empty space or a room, getting one with dust sensor would be a good solution, with this you might have to compromise on the speed and some other factors but it will help you know the quality of the air you are breathing, with higher fan speed you can get better and faster air purification but it accompanies more noise than the fan makes. Keep a lookout for HEPA filtration, it’s the most used filtration used for removing allergens and some other small harmful particles from the air. there are other filters that have been developed to mimic the uses of this one which you can use if you have a tight budget. Quick tips to select best air purifier. 1.If one of your reasons for getting a new one allergies or symptoms of asthma then you should go for the best money can buy you, but if your symptoms are that serious and you just need it for regular use then you can get an affordable one. 2. Which one do you need a whole house or room purified, and whether you actually need it? you might notice the difference by using some other less pricey method like getting a good quality furnace filter for your household unit. 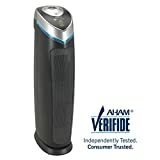 But if you are sure then you can go for a good quality whole house purifier. 3. Space is something that you have to figure out before you purchase one as they tend to be a little on the heavier side. 4. 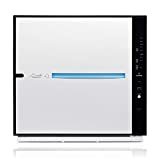 Then you might want to factor in the room that you need the air purifier for, if it is for your bedroom choose the one that makes the least noise, or if it’s for your hall try one that has speed adjustment settings, you can always use the high setting for reducing the noise. Room purifier would be much suited for you needs if you need one for a tiny space and not your whole house, you can forego whole house purifiers which are sure to cost way more than a room purifier. You might think that it’s not necessary to use a room purifier but there are bacteria and allergens which if you are exposed to constantly might trigger allergic reactions or symptoms of asthma so it’s better to be prepared rather than taking chance with your health. And a room purifier is not that expensive you can find one within your budget. 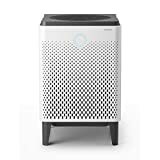 HEPA is a term you might have heard if you have been doing some research into getting an air purifier that takes care of allergens and distributes fresh and germ-free air to your room or environment. It is one of the popular air filtration techniques there are some lesser known filtration methods which have been developed based on HEPA but if you are someone who has severe allergies then HEPA is the perfect solution’s in that case. For people with mild allergies, other filters might work as well so they don’t need to spend a large amount of HEPA equipped purifier. 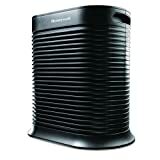 A portable air purifier is cheaper, lightweight, and little in size but it provides excellent purifying services, lets say you are in a dorm room, a small office, a hotel room, or your car you can use this single air purifier at all these places without having to spend an enormous amount for getting one for each of these places which can be waste of money and time. some of you might wonder if it really works, don’t let its size fool you it works just great and you will get to breathe in clean air. UV air purifiers are mostly used by in hospital environment to get rid of particles which do so, by reducing or eliminating airflow. Most the UV air purifiers are built in a great a way and won’t have any side effects such lung damage which is what you might face if you don’t do proper research and just grab one. Although not a lot of people prefer using UV air purifiers they are useful in their own way. Many of you might have been to a place that provides a smoking room, some of the places take measure to eliminate this smoke like making use of an air purifiers so that room will not smell like smoke even after the occupant leaves, it could be good for smokers who want to get rid of the smoke from their houses or can be used in cars so that your seats won’t smell like smoke. 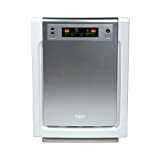 Coway Airmega 300S is designed to accommodate room sizes up to 1,256 square feet and it cleans the air two times in one hour. 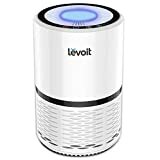 Best Buy Air Purifier Copyright © 2019.